Baobab oil is made from baobab seeds. The seeds are found in large capsule-like fruit which grow on baobab trees. Baobab fruit grow on trees throughout the savannas of Africa. The trees themselves are a natural marvel—some have been aged at over 1,000 years, and some can reach widths of several yards. The fruit mature during the dry season and drop off the trees when ready to harvest. People living in rural area collect the fruit from under the trees. The fruit is transported to a processing facility, where it is cracked open and the internal powder and seed is removed. The extracted seeds are then washed to remove a powder coating and then air dried in the hot sun. 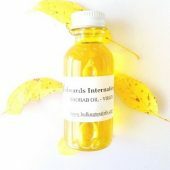 Jedwards bulk wholesale Baobab Oil, both organic and conventional, is made by a cold pressing process. The oil is rich in antioxidants and vitamins A, D, E and F. It is also rich in oleic acid, linoleic acid, palmitic acid and omegas 3, 6, and 9. It’s yet another treasure of skin health from the continent of Africa. Though not as healing as virgin shea butter, Jedwards’ bulk Shea Nut Oil has a more accessible texture and can more easily contribute the moisturizing qualities of shea to mixed formulations. It absorbs quickly on the skin, and is commonly sought out to help moisturize stretch marks. We carry both organic and conventional Shea Nut Oils for bulk wholesale. Mango butter is known for its emollient properties, similar to shea and cocoa butters. It is a harder consistency, however, in its raw form, and is often combined with coconut oil or shea to make it more readily spreadable. 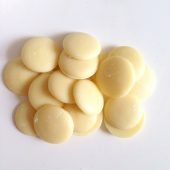 Though it is semi-solid, like shea, it does melt into your skin and is surprisingly non greasy. Like coconut oil, it is commonly used both as a moisturizer and as a stable cooking oil. It is rich in oleic and stearic acids. Jedwards’ bulk Mango Butter is cold pressed from the seeds of the mango fruit. We carry both Organic and Conventional bulk Mango Butter at wholesale prices.